Are You an Auto Accident Waiting to Happen? Owning a driver’s license and a vehicle comes with a lot of responsibility. With that in mind, would some consider you to be an accident waiting to happen? If so, you want to change that perception and even reality as soon as possible. Otherwise, your health and the well-being of others could be in jeopardy. Responsibility – Of the utmost importance, you need to be a responsible driver. Given driving is a privilege and not a right, it is important you take things in a serious manner. This means not engaging in distracted driving, reckless and drinking and driving. Any of those actions can lead to a serious accident with repercussions for more people than only you. Weather – Although you have no control over the weather, you do have much to say in how you drive in the weather. With that being the case, don’t push your luck when there is rain, snow and of course ice. Doing so can lead to an accident in a matter of seconds. When you do have to deal with inclement weather, be sure to give yourself enough time to get around. This will lower the chances of being in an accident. Also make sure your vehicle has the necessary equipment to get around in bad conditions. As an example, if living in an area where heavy snow is quite common, be sure to have snow tires and chains if needed. Vehicle – What kind of vehicle are you driving these days? In the event you are thinking about purchasing a used car or truck, will you do the proper research on it? For instance, do a free license plate lookup online. In doing this, you can learn more about the prospective vehicle. In knowing if it has been in any serious accidents, you can steer clear of a potential lemon. That lemon could cost you money and jeopardize your safety. In knowing about any recalls, you can learn if they are minimal or quite serious. Once again, your safety and the safety of those around you on the road come into play. Last, don’t buy a used vehicle if the seller will not allow you to have it checked out by a mechanic of your choosing. The seller may be trying to hide something that is wrong with the vehicle. By doing this, they could sell you something you will end up regret buying. In the event you have one or more teens in the home, are they driving now or about to go after their driver’s licenses soon? You want to set a good example for them by being the best driver possible. In doing this, you will give them a better chance to be great drivers from day one. Given teens do not have the same experience as adults do behind the wheel; it is key they learn the right way to drive. 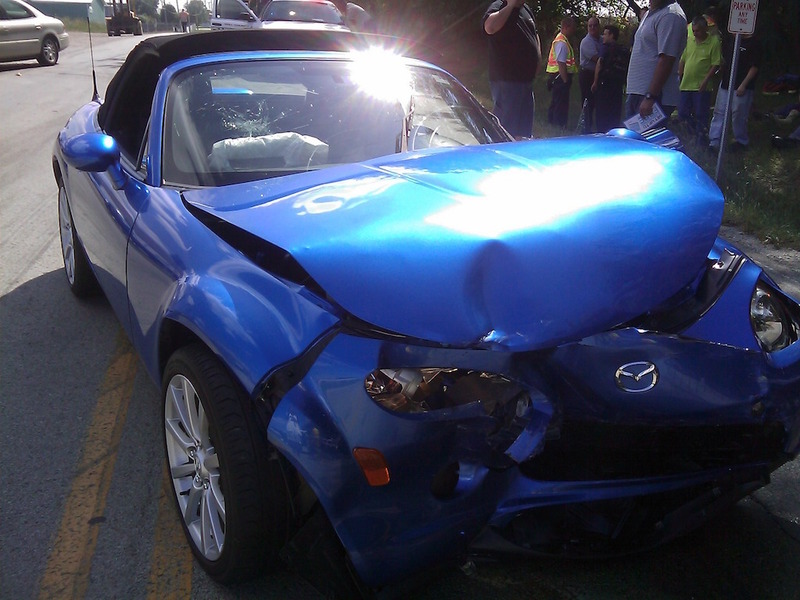 In trying to steer clear of an auto accident, will you drive ahead with skill and luck on your side? I’m a spiritual ninja, certified Yoga instructor and lover of life. Everything I publish here on Healthizen enriches lives in one way or another. I hope you find something you enjoy here. Namaste. It’s Time to Spring Clean Your MacBook! How Do Horomones Affect The Body?